Also known as the ‘Bell’ Works from Wedgwood’s practice of summoning his workers by the use of a bell, instead of the traditional horn. Rented from the beginning of 1763 from the Adams’ family, it was at this site that Wedgwood produced the tea and coffee service which earned him, in 1766, permission from Queen Charlotte to style himself ‘Potter to Her Majesty’. In November 1769 Wedgwood received notice to quit the Brick House premises because his landlord, William Adams, required the buildings for himself. 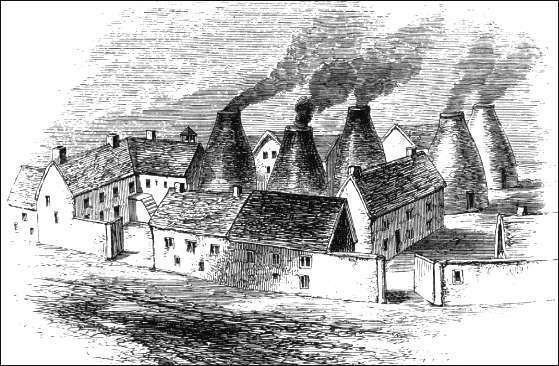 Wedgwood did not fully re-locate from this site to his new Etruria factory until the summer or autumn of 1772.